« Older: Natasha Stuart is Miss San Pedro 2010-2011!!! Newer: » Women’s Issues Network of Belize Wins Grant! 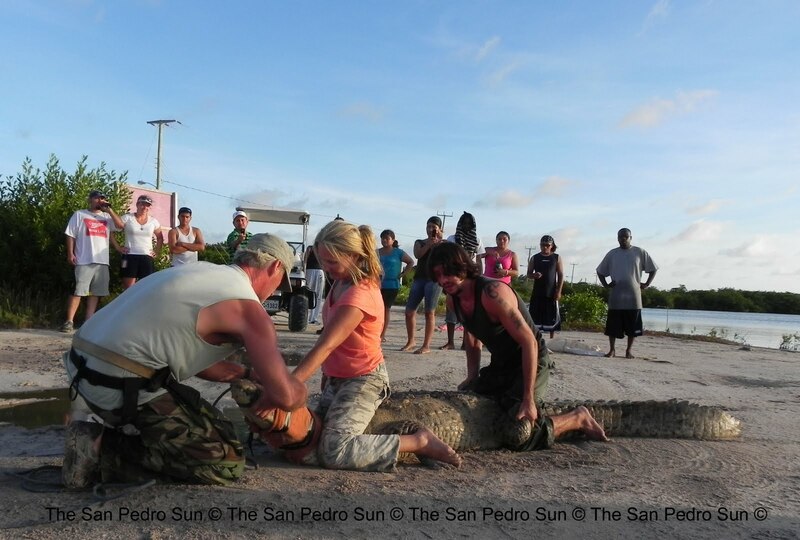 ACES team captures a problematic croc on Ambergris Caye. Press Release - Amercian Crocodile Education Sanctuary - September 6, 2010 - In the early morning hours of September 5th, a frenzied mob of Mayan-Belizean villagers set fire to the American Crocodile sanctuary that a Colorado,USA couple spent the last six years creating. “We’ve lost everything,” said Cherie Chenot-Rose, co-owner and founder of the American Crocodile Sanctuary for Education (ACES). The sanctuary was located in Punta Gorda, Belize. The mob was apparently riled in to a frenzy by a Mayan “psychic” who claimed that two children, who have been missing for the last week, had been fed to the crocodiles at the sanctuary. 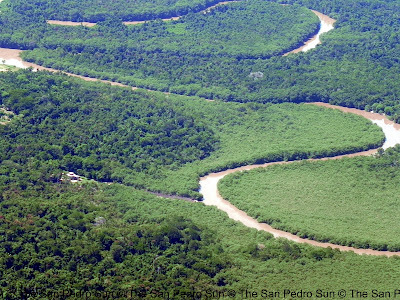 It is alleged that the same group of villagers are responsible for burning other homes in the past several months in the Toledo District, the southern most portion of Belize. Luckily, Cherie and her husband Vince Rose were in San Pedro on the island of Ambergris Caye when the mob attacked. At the request of the Belize Forest Department the team were rescuing three problem crocs, and meeting with top Belize tourism officials discussing the prospect of creating an American Crocodile sanctuary on the island. Reports are that the mob shot and killed some of the 17 crocs held in captivity at the sanctuary. Also destroyed were the Rose’s two story home that included a laboratory and nursery for baby crocs. One baby American Crocodile was to be flown to Chicago to the Wildlife Discovery Center in Lake Forest, Ill. USA for the first ever animal exchange program between Belize and the USA. Over $2,500 in vet supplies that were recently donated for a new humane society that Cherie, along with other locals were working on in Punta Gorda were also lost. “This one wrongful incident has effected and hurt many innocent people and animals,” added Cherie. Also destroyed by the fire were two cabañas where visiting guests and research students would stay. Vince and Cherie are now homeless and do not have anything to their name, said Cherie. “Our lives have been threatened if we return to Punta Gorda,” she said. “We are not sure how to handle the situation, but the villagers and the country of Belize need to be held accountable,” stressed Rose. The two missing children have yet to be found. They were reportedly in Punta Gorda with their father and uncle to sell lime and craboo on Monday and were last seen in Cattle Landing Village a few miles out of town. “We pray these children turn up safely,” said Cherie. The Roses were not connected with the children in any way. The Roses were in San Pedro at the time the children disappeared.